My name is John and i'm from the Netherlands. I posted the pictures from my "Lime green Metallic 351CJ" in the Garage section earlyer this week. Now i have some time to introduce myself on this website. I started the Mustang hobby with a 79 351W a couple of years ago and bought me a 68 289 Coupe about six years ago ( i still have it ). In October 2010 i bought a 1972 351CJ in the U.S. and shipped it to the Netherlands. It is a verry nice car , as you can see in the "Garage" pictures. It only had some cowl problems ( as they all do ) , what resulted in a bad floor section. I took out the left and right floorsection and welded new floorsections in the car, removed the fenders to have acces to the real problem and fixed that. as the fenders are from the car now i have easy acces to the engine compartement so i like to clean it up a little and give it a fresh black coat of paint. the original 351CJ can use a new coat of blue too. I hope i have the car on the road next month. It has the original 351CJ , it has an Edelbrock manifold cam's and Carb right now ( The original intake , aircleaner and carb where in the sale , should i bolt those back on the car !???? ). What do you guys think , should this car with this setup make some sence ??? Where are you located over there? I used to vacation in Scheveningen, Holland. Love it, took the train to Amsterdam. Welcome from Uruguay John?? we overseas guys are going up ehh!! Tnfastbk;18193 Wrote: Where are you located over there? I used to vacation in Scheveningen, Holland. Love it, took the train to Amsterdam. I live in Rosmalen , it's a little village near Den-Bosch. It's located between Utrecht and the Belgium border. URUGUAYAN_FASTBACK;18198 Wrote: Welcome from Uruguay John?? we overseas guys are going up ehh!! Yes Damián , let this be a worldwide website for every owner to join. Wow Uruguay , not too many stangs around there !? In the Netherlands it's quite unusual to see U.S. cars around , we are having the European and asian stuff on the roads. Besides all that, i own the only 71-73 fastback in my country which is also a 1 of 1 ever produced car... so.. i´m pretty proud! Welcome to the club from Virginia. 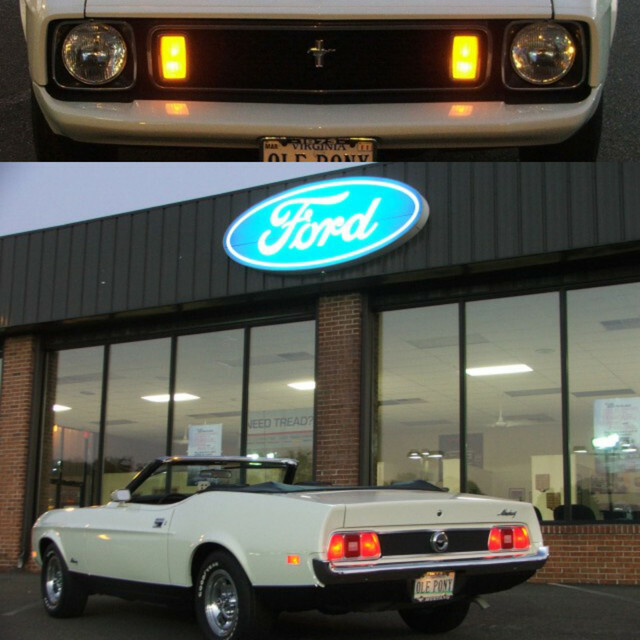 I admire all the extras expense it takes to get a Mach 1 shipped from the US. It sounds like your unseen purchase worked out fine. Good luck with your project. to the best mustang site! Ik hoop dat je veel plezier van je Mustang zult habben, veel success!